Yet another masterly masterly piece of Hindu spiritual wisdom, Aitareya essentially reinforces the grand Upanisadic message which is neither a picturesque mythology nor a promise of heaven nor a threat to hell. 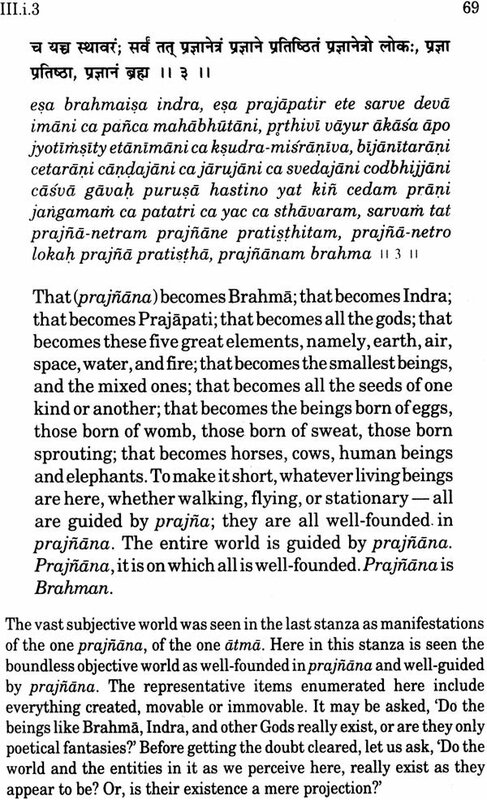 It is yet another reminder (from the ancient seers) of our cosmic connection - showing how this universe, this phenomenal world of ours, and all that is created, whether movable or immovable, are unfolded from one primeval casual Reality: atman, variantly called the Supreme Spirit, Pure Consciousness or Prajnanam Brahma; and how, in turn, atman perceives itself as the are underlying substance of all these phenomena. A distinguished exponent of Vedanta, Swami Muni Narayana Prasad reinterprets this Upanisad, developing refreshing insights into its textual discourse, its meaning, and its message. 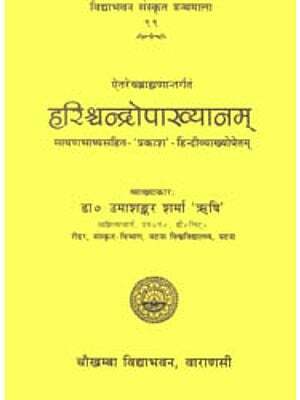 Also included in this critical commentary are its original Sanskrit text, Romanised transliteration, and verse for verse English translation. 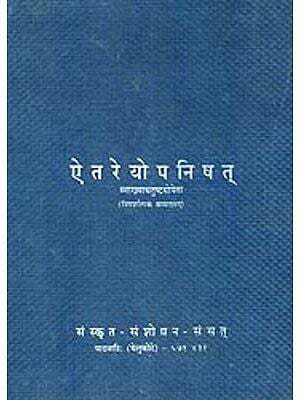 Appended to the Rgveda, Aitareya Upanisad comprises three chapters (IV-VI) of the Aiterya-Aranyaka which, in itself, is a continuation of Aitareya Brahmana. And as one of the principal Upanisads is invaluable as much to the discerning readers as to the scholars of Indian philosophy. Swami Muni Narayana Prasad is Guru and Head of the famous Narayana Gurukula, a guru-disciple foundation set up by Nataraja Guru, the disciple-successor of Narayana Guru. A disciple of Nataraja Guru, who initiated him as a renunciate in 1984, Swami Muni Narayana Prasad has traveled round the world teaching Indian philosophy, with special emphasis on the Upanisads. He has been associated with the philosophical magazine, The Gurukulam as the editor for twelve years and continues to be one of its chief contributors. The author of many works, his publications in English include Basic Lessons on India's Wisdom, Karma and Reincarnation, Vedanta Sutras of Narayana Guru and Commentaries on the Katha, Kena, Mundaka, Prasna, Taittiriya, Chandogya and Aitareya Upanisads. INDIA’S civilisation is like a great banyan tree. It assimilates all the nourishment it needs for sustenance from the Upanisads, a source that has remained ever undiminished. The way life is viewed in the Upanisads has become absorbed into the fabric of the civilisation of India so universally that even illiterates are soaked in its essence, yet they remain oblivious of being so. Only when by chance one comes upon an Upanisad and he gets familiar with its way of thinking that he realises that his being is already inbued with its essence. 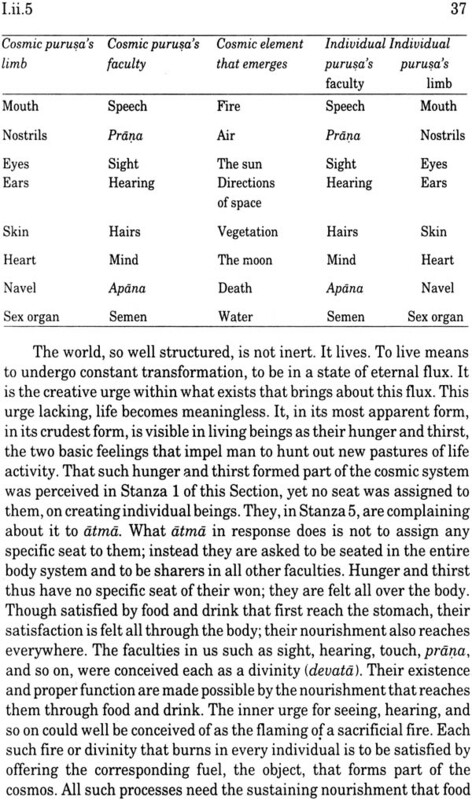 Reality and the actualities of life, as seen by the Upanisads, are not two. They portray the various facets of the actualities of life in terms of Reality, or Reality in terms of the actualities of life. In ordinary life what matters is our personal beingness and its pleasures and pains, as well as how we react to each other. The life principle, known in Sanskrit as prana, is supposedly the epicentre of life’s activities. Prana , literally meaning breathing, has the air we inhale and exhale for its basis. The function of prana is impossible without the surrounding air. This air could thus very well be considered the epicentre of life. It is a vital part of our physical existence, not merely when breathed in but even as the air surrounding our body, which extends upto the boundless atmosphere, making the physical existence of each one of us likewise extensive in dimension. 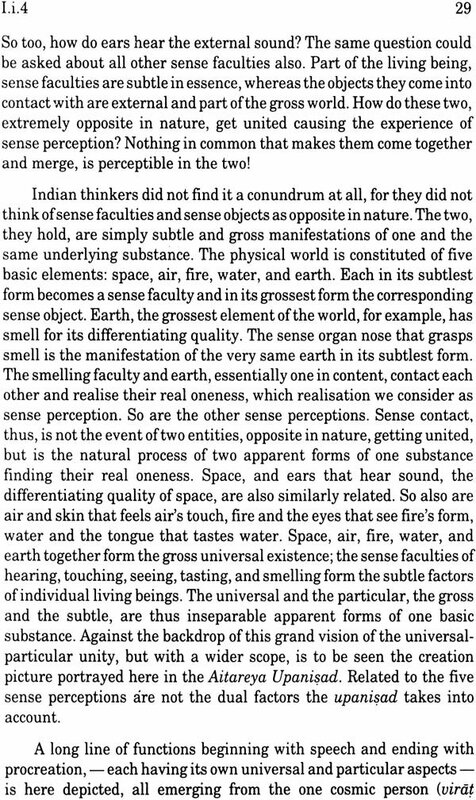 To distinguish between the individual aspect of the function of air and its universal counterpart thus becomes rather difficult. It would be easier to conceive the two as opposite poles of one existential situation, that of the air principle. As a living entity, its individuated aspect is marked by the respiratory function. As a cosmological phenomenon, life should have in it a cosmic respiratory function also, though this is beyond the grasp of the human mind. The atmosphere then should also have an alternating respiration-like function within itself. Life is multi-faceted. Each facet of it, like that of the respiratory function, could too be seen as having similar opposite poles — one relating to the individual entities and the other to the universal where total being becomes the matter of concern. For example, eyes in individual beings have the sun for their universal counterpart. The former aspect in Sanskrit is known as vyasti, the latter, samasti. Looking at the overall scheme of life as having two opposite facets at its every phase, is the approach that dawned upon the rsi of the Aitareya Upanisad. Every Upanisad is appended to one or other of the four Vedas, the most ancient basic scriptures of India. The Upanisads, for this reason, used to be called Vedantas meaning they constituted the concluding part (anta) of the Vedas. 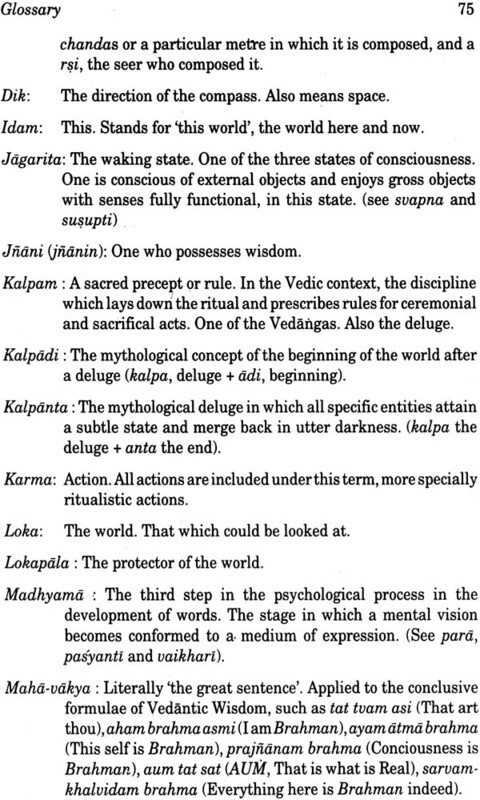 The philosophical implications of these words — vedas , upanisad , vedanta — having already been sufficiently clarified in our comments on the Kena-Upanisad, are better not repeated here. Mahidasa was born of a woman known as Itara, meaning ‘the other woman’, and hence the name Aitareya, literally, born of Itara. Mahidasa’s mother, presumably not the legitimate wife of his father, was therefore denied the rights and privileges of a wife. Once, a great fire-sacrifice (yajna) was held in which Mahidasa’s father was the yajamana (the one who performs and pays for a sacrifice. The yajamana’s son normally would be allotted his rightful seat in the hail (yajnasala), but Mahidãsa was denied that seat. Taking it as an insult on her, Itara prayed to the Goddess Earth (Bhumi Devi, also called Mahi), her favourite goddess, for atonement. Gratified, the Goddess appeared, and seating Mahidasa on a celestial throne, taught him the supreme wisdom. Becoming thus a jnanin and one of the most honoured rsis (seers), Aitareya revealed the scriptures now known as the Aitareya Brahmana, Aitareya Aranyaka, and Aitareya Upanisad. A disciple of Mahi, he became famous as Mahidasa, dasa meaning servant. The evils and senselessness of a caste-based social system are what this story points to. Itarã presumably was a sudra woman and hence unacceptable to the brahmana wives of Visala; so she was relegated as ‘the other woman’. Her son Mahidãsa was denied his rightful seat in the yajnasala (the hall of fire-sacrifice). But Aitareya, by revealing the supreme wisdom through one of the most important Upanisads along with the connected Brãhmana and Aranyaka, proved his worth and testified the meaninglessness of caste-based social concepts and prejudices. What all the Upanisads try to do is to reveal through the medium of words the Supreme Wisdom that is really inneffable. Nevertheless, the rsi of each Upanisad has his own way of visualising the Reality and thus his own way of presenting it. The Kena Upanisad, for example, reveals it as answering the question, “What impelling force works behind all the throbbings of life?” The problem of death and the state after it, is what becomes instrumental in the Katha Upanisad. 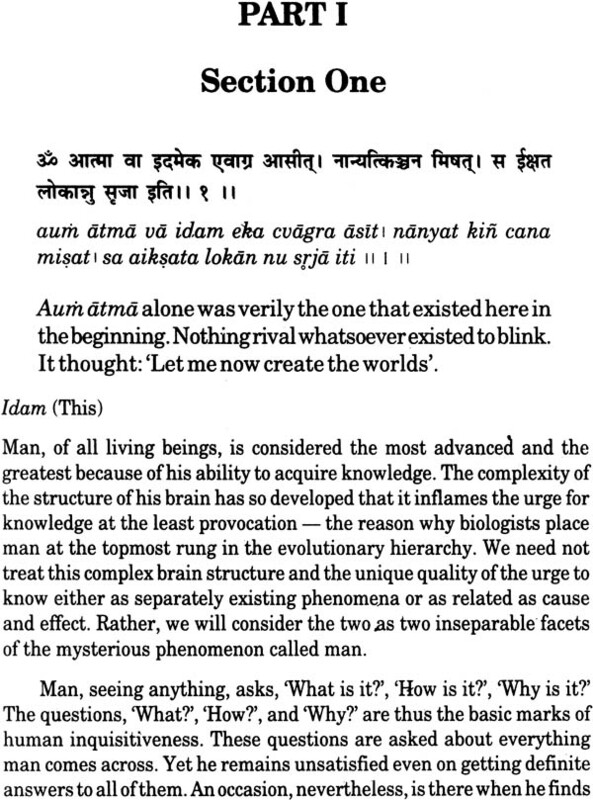 The present Upanisad, on the other hand, portrays in a rather poetically picturesque way how the mysterious phenomenon of world and life, with their universal and particular aspects of existence, get unfolded from the one primeval causal Reality (atman), and finally how atman perceives itself as the one underlying substance of all such phenomena. IT is by the grace of Swami Muni Narayana Prasad, that we, the Gurukula inmates, are being initiated into the path of contemplation. I had the fortune to stay with him as a student for 12 years, during which he has been writing commentaries, mainly on the crowning texts of wisdom, the Upanisads. The Upanisads are unexpended mines of contemplative spirituality. It is uttered in the moments of ecstacy in mellifluous poetic diction by Indian seers. A seer or a guru of that order represents in his person the throb of the Absolute. And the disciple is the recepient who imbibes that living spirit in aweful adoration and gratitude. Such is the context out of which all the Upanisads are born. That which was conveyed in such moments of ecstacy remains as a verbal testimony for mankind to chew and digest. It is also the precious treasure chests to be preserved by mankind for the generations to come. The Upanisads are rendered in archaic Sanskrit language. They are so subtle that almost all of them are very hard nuts to crack. This prompted the continuaters of wisdom-heritage to produce explications, elaborate or brief. Here also we have such a work in hand by Swami Muni Narayana Prasad. In former days it was for the anterior skeptics that the masters produced their insights in the form of authentic commentories. In the Gurukula also there arose a similar demanding situation that gave vent to the birth of present explication. In each Upanisad there underlies a hidden structural scheme. By deciphering the text with keen awareness and sensitivity one can avail himself of the key to the structural scheme and properly employing it, he can attune himself to the vision of the seer. To unlock the mystery of existence pictured in Aitareya Upanisad, the commentator unravels the master key and uses it with contemplative skill which he himself inherited from his own master Nataraja Guru, who was a direct disciple of Narayana Guru himself. In the present one the commentator does not conform himself fully to the traditional style of others in the same field. He also takes meticulous care not to tresspass the structural limits of thought depicted in it. The author rather employs his knowledge of psychology, philosophy, modern science and above all common sense to discuss the subtle ties in elaborate detail. I hope this may be of much help to the earnest seekers of truth.